After a brief career at sea, during which he tested Harrison's chronometer for the Board of Longitude, John Robison (1739-1805) became lecturer in chemistry at the University of Glasgow. In 1774, having spent a period teaching mathematics in Russia, he returned to Scotland as professor of natural philosophy at Edinburgh. Despite his busy schedule, he contributed major articles on the sciences to the Encyclopaedia Britannica, giving an overview of contemporary scientific knowledge for the educated layperson. After his death, these and other pieces of his scientific writing were edited by his former pupil David Brewster (1781-1868) and were finally published in four volumes in 1822, with a separate volume of illustrative plates. This reissue incorporates those plates in the relevant volumes of text. 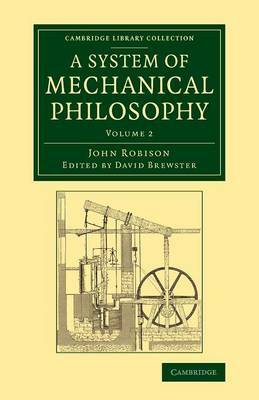 Volume 2 contains Robison's articles on the steam engine (revised and expanded by his friend James Watt), on other machinery, and on fluid flows.